Celebrate A New Book! Briana Vedsted Is HERE! Come join the celebration and get Briana’s new book! A Girl Named Cord by Briana Vedsted will be published on Amazon.com July 31st, 2013 as both a paperback and an eBook. 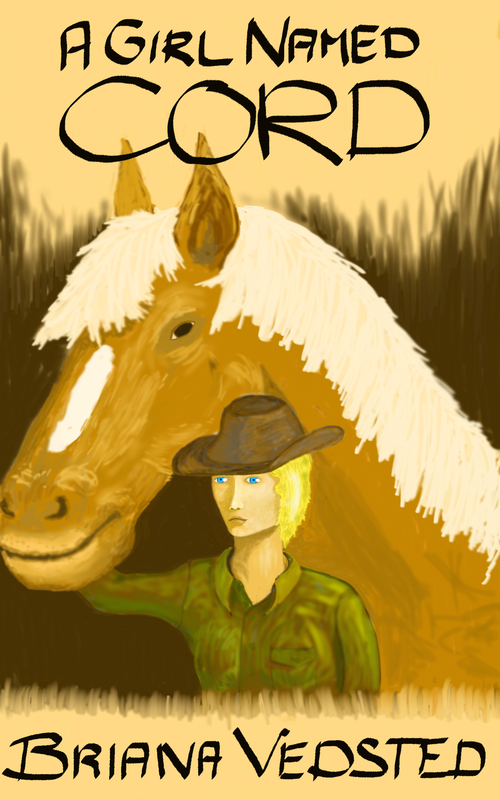 Book description: Cord had to work hard to earn her living as a cow puncher, and she was getting along just fine until a wealthy rancher moves into the county and threatens the lives of her and her friends. Cord rises up to meet every challenge, but the death of friends, both old and new, plague her at every turn. And just when everything seems like it is going to go back to being peacefully normal, a secret comes to light, putting Cord and her future family in danger. Will Cord let go of her sorrow filled past and revengeful wishes long enough to save her loved ones and pull her life back out of the bottomless pit it seems to be stuck in? Categories: BOOK News & Reviews | Tags: author, new book, published, writer | Permalink. cow puncher? Is that your wording or he books? Sounds like a good book though. No, not mine. That is all the author’s wording. I will try to look at it and pass it on. hugs!